The news that antidepressants in actual fact don’t work better than sugar pills and increase the risk of suicide has filled major media during the past year. Psychiatrists, Big pharma and medical agencies, responsible for distorting the facts for many years, are now working hard to save profits and careers, says Swedish independent investigator and reporter Janne Larsson. A new study, “A Regulatory Apologia - A review of placebo controlled studies of new-generation antidepressants”, claiming that antidepressants work well for all forms of depression should be seen in that light. It is another good example of how our allegedly objective medical agencies work together closely with the pharmaceutical industry and its paid psychiatrists to increase sales. The study was announced in the Journal of the Swedish Medical Association (Läkartidningen) on April 15, 2008. The author, a long standing advocate for antidepressant drugs, Professor Björn Beerman of the Medical Products Agency (MPA), the Swedish equivalent of the FDA, promoted continued high level use of these drugs. Beerman does not believe in the validity of data presented internationally. In the article he stated, as he had many times before, that “there is no doubt that the medication has effect and that this is independent of the degree of depression”, adding “we don't believe that the drugs are less effective in case of mild depression”. Beerman proudly announced a new study of the Swedish MPA in support of his statements. The study was said to be submitted for publication in The Lancet, a most prestigious medical journal. What Beerman did not say in his April 15 announcement was that on 4 April, almost two weeks earlier, the Lancet had already rejected the article – it refused to publish. The MPA then made another attempt at publication, submitting the data to the British Medical Journal (BMJ) – another journal with high impact. But the response was the same, the BMJ rejected the material. 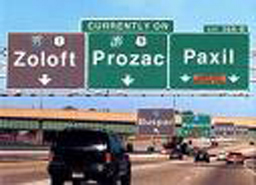 So the Swedish Medical Products Agency – with its pro Big pharma “research message” – went directly to the manufacturers, or rather to a journal with an editor-in-chief who has always been favorable to the approval and sales of antidepressant drugs internationally: The agency submitted its article to European Neuropsychopharmacology, whose editor-in-chief, Dr. Stuart Montgomery, accepted to publish. For those not familiar with the work of Dr. Montgomery it can be said that he played a major role in helping Big pharma to get new antidepressant drugs approved in the beginning of the '90s – despite the fact that the actual data, even at that time, already showed that these drugs caused an increase in the risk of suicide. Montgomery was also responsible for the famous concealment of the severe withdrawal symptoms caused by any attempt to stop taking Seroxat/Paxil. Instead of accepting the clear withdrawal symptoms for what they were so that patients and doctors could be warned, Dr. Montgomery and colleagues misclassified these symptoms as signs of recurring depression – and the need for more drug treatment. The Swedish MPA and its U.S. counterpart, the FDA, have done almost nothing to use the wealth of data in their files to draw attention to the actual suicide risks inherent in the use of antidepressants, and to warn doctors and the public. There is a newly unsealed extensive analysis by Dr. Joseph Glenmullen that points to GlaxoSmithKline’s hiding of Seroxat/Paxil suicide data. It provides an example of how the pharmaceutical industry will act to protect its interests and how ineffective and almost timid a regulatory agency can be in questioning the data in drug applications http://finance.senate.gov/press/Gpress/2008/prg061208a.pdf (4MB). The lack of efficacy of these drugs has always been denied by the Swedish Medical Products Agency. In addition to this, the inefficient system for post marketing surveillance of adverse drug effects is putting the public at severe risk – yet that situation is allowed to continue unchanged year after year. The often horrible withdrawal symptoms of anti depressant drugs have been explained away as signs of recurring depression – and thus transformed into evidence of positive drug effects; and this manipulation has been accepted by the regulatory agencies. The MPA and the FDA, supposedly established to protect the public, are agencies out of control. They see the pharmaceutical industry as their real clients. What we are witnessing here is a situation where independent analyses of data submitted to the FDA show no positive effect of antidepressant drugs compared to placebo, and yet the Swedish MPA puts all its “research resources” into action to prove the opposite. Their eagerness to collaborate with Big Pharma in getting out a PR-message, to handle the “uncertainty about the efficacy of antidepressants, both in the psychiatric community as well as in public opinion”, is yet another example of betrayal of the real clients – the public.